FEYNLAB® CERAMIC PLUS: The Perfect Marriage of Our Self Healing and Ultra Durable Ceramic Technology. 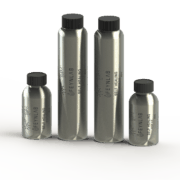 Professional Grade: Feynlab Trained & Authorized Installer Use Only. Installed price starting at $999 depending on the amount of paint correction required. 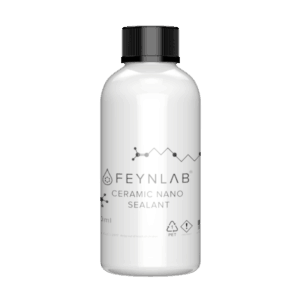 FEYNLAB® CERAMIC PLUS is the perfect marriage between our Self Healing technology, and our ultra-durable Ceramic technology. CERAMIC PLUS maintains the thickness and protection aspect of CERAMIC, while incorporating 40% of self healing capabilities for light surface scratches and micro marring. While some deeper scratches, which may not completely recover, but they will be much noticeable and almost undetectable on lighter colored paints. Additionally, Ceramic Plus still provides similar heat resistance, high gloss, hydrophobic and easy cleaning properties which Ceramic is known for. CERAMIC PLUS is only for professional use by FEYNLAB™ Approved and Accredited installers. Do not attempt to apply this product without training. Over the life of the installed product, a car coated in FEYNLAB® CERAMIC PLUS will show significantly less swirls and marring than any other professional ceramic coating on the market (except for FEYNLAB® SELF-HEAL PLUS AND SELF HEAL LITE) due to the recovery properties of the coating. CERAMIC PLUS contains some of the same chemistry found in FEYNLAB® CERAMIC, and has similar physical properties such as; excellent heat resistance, brilliant gloss, and excellent water sheeting (hydrophobicity). 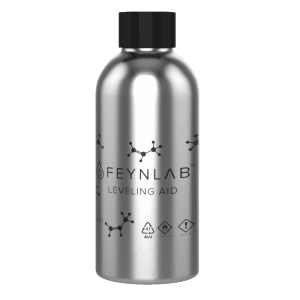 FEYNLAB’s true nano technology and bonding chemistry allows for an unparalleled level of protection since the formula penetrates further into the existing paint structure than anything else available. Thoroughly clean vehicle using FEYNLAB® WASH vehicle to remove all topical contamination. 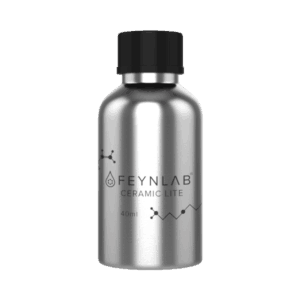 Follow with a topical decontamination clay treatment using FEYNLAB® HEAL PRIME. 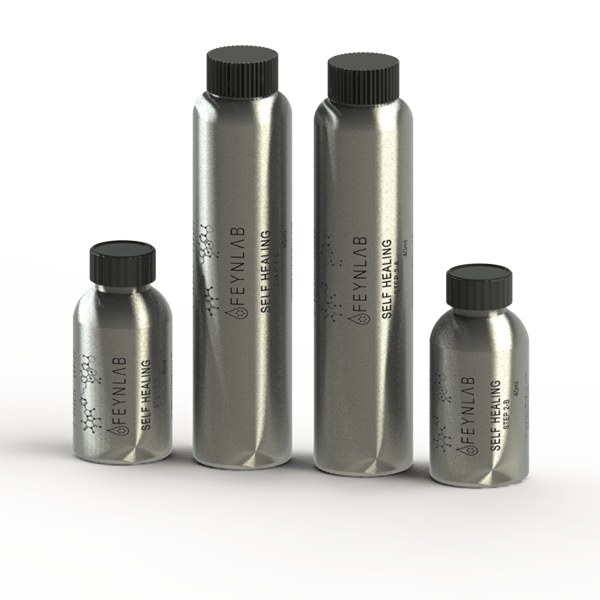 If necessary, use a ferrous iron removal product to remove all embedded iron deposits..After polishing paint to desired level, remove all polish oils using FEYNLAB® PANEL PREP to ensure optimal bonding and durability of the coating. Prior to paint application, first coat all soft plastic trim pieces, headlights, taillights, black piano trim and other porous surfaces with their appropriate coating. FEYNLAB® PLASTIC works great for this. Avoid these surfaces with ANY OTHER FEYNLAB® COATING and wipe off immediately if any product accidentally finds these surfaces. Shake CERAMIC PLUS vigorously for 2 min. Open the bottle and allow the coating 1min of air exposure. Ceramic Plus may only be applied by certified installers. I used Ceramic Plus on a silver 2018 Toyota Camry XSE. The finish was a high intensity gloss and really made the metallic “pop”. The owner has called me several times to tell me how happy he is with the coating and that he just can’t believe how much longer his car stays clean.